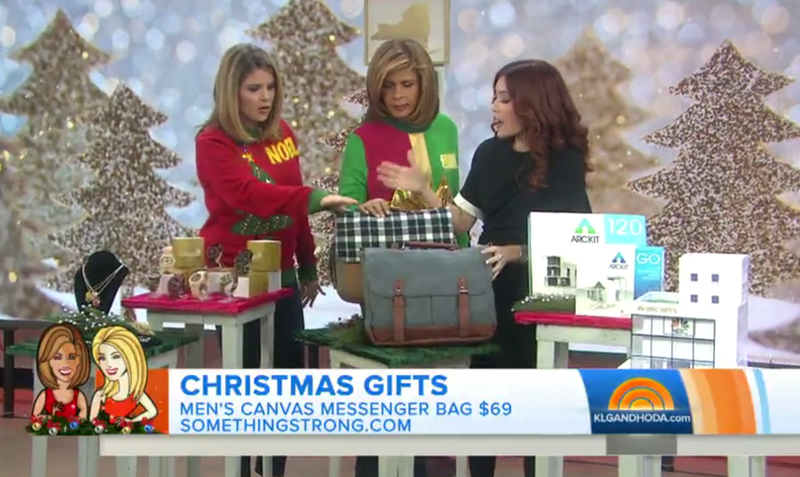 Congratulations to our Client Something Strong for their feature on the TODAY Show! Fashion meets the workplace withÂ SomethingÂ StrongÂ messenger bags. Plaid Flap Messenger Bag:Â The designer really thought of everything you would need in your busy life. The plaid flap makes an otherwise mundane day, POP. The flap feels soft yet the bag is sturdy. Itâ€™s also machine washable. You can throw it around on airplanes, subways or inside your cubicle and youâ€™ll be surprised at all it will withstand. SomethingÂ StrongÂ Wool Messenger Bag: The all-wool messenger bag with brown canvas accents is for the guy who means business but does it with boldness. HisÂ new bag can carry all hisÂ important work â€“ books, laptop, papers, magazine, pens, phones, toothbrushes, you name it. Itâ€™ll keep himÂ organized while turning heads. Check them out at somethingstrong.com!